You know how you buy too much and all of a sudden you realize it?. I am running out of room. This is a simply beautiful statue and I am sorry to let it go. It is #588 of 1800 made. This would make a nice addition to your collection. Up for sale is a rare Sideshow, Star Wars, Darth Vader, Mythos, Dark Contemplation Statue, Limited Edition No. 3082/5000. It has never been displayed. Condition is excellent. We have been professional collectors for last 30 years. Marvel Bowen Designs ELECTRO MINI BUST Statue(with Arms) 331/1000 SPIDER-MAN!! 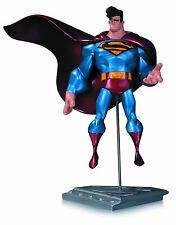 Up for sale is the Sideshow DC Comics Superman Premium Format Exclusive Version. Item was brought from a previous collector. 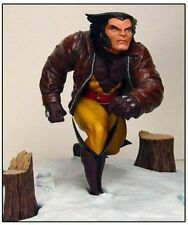 Bowen SCORPION (RETRO VERSION) Mini-bust Statue # 623/1500 SPIDER-MAN !! 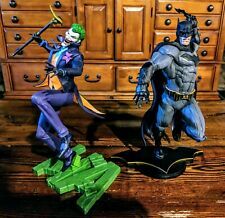 From Hasbro! New Production Run! Iconic in design and durability, Captain America's shield is the ultimate combination of offense and defense. Whether ricocheting into combat or fending off enemy attacks, Captain America's signature shield is essential to victory. Highly detailed and 1:1 full-scale premium role-play items come to the Avengers Legends line! Specifically modeled on the First Avenger's trademark symbol, the Avengers Legends: Captain America Shield measures an impressive 24 inches in diameter and features two adjustable straps, in order to be worn like Captain America!. Hot Toys is the manufacturer. Sideshow is only a distributor. 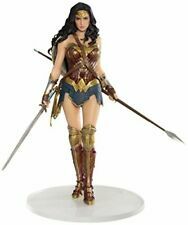 All photos and product are manufactured by Hot Toys. Sideshow does not make this product. READ AT THE BOTTOM ABOUT THIS. No exceptions here.sorry. 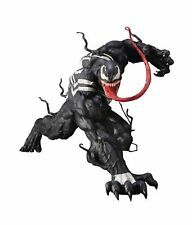 Kotobukiya ARTFX AMAZING SPIDER-MAN 1/10 Statue NEW! We will do our best. Condition: 100% new. Scale: BDS Art Scale 1/10. - Includes base. - Made in Polystone. - Based on original movie references. USD9 for HONG KONG ( no local pick up ). We are always here to help you to solve your problem. It has never been displayed. Condition is excellent. We cannot mark the parcel as "gift" nor mark below original invoice value. DC Comics Bombshells Black Canary Statue - numbered 3036 of 5200. I again opened it up for these recent photos and statue appears without defects. I do not know if the comic photo print was included as part of the original release, but was in the box, so will go back in the box. The Maverick Mercenary, is depicted with guns blazing and his trusted pair of katana's on his back - just in case!!! Stands an impressive 20" tall. This Museum quality piece is constructed from heavyweight polystone and then hand painted to the finest detail. This is a completely sold out and very sought after collectible, it was originally only available as part of a set. BRAND NEW IN UNOPENED MANUFACTURERS PACKAGING! International bidders welcome, please ask for a shipping quote. No reserve, happy bidding!. • Sideshow Collecitbles Premium Format Spider-Man. • like new condition! 100% complete with all pieces. Solid Snake Statue - First 4 Figures - Metal Gear Solid - F4F Exclusive #60. Shipped with USPS Priority Mail. Day 1 Edition with Signature Card. Taken Out to Display for Pictures and See No defects #60 of 1000. Has Shipper and All. Thanks for Looking. CHARACTER is BUILT and hand-painted to MATCH the OFFICIAL EAGLEMOSS COLLECTION. Your understanding is highly appreciated. A MUST HAVE FOR EVERY FAN OR COLLECTOR. Nothing is more important than your concerns and frustrations; we will do our endeavor to solve your issues. I will solve the problem for you within 24 hours. Q.What should I do if I didn't receive my item?. This model is about 14" tall and weighs close to 2 lb. Kotobukiya Artfx Marvel Now Avengers Black Widow Model Kit Statue 1/10 Scale. Shipped with USPS Priority Mail. CUSTOM FABRIC CAPE ONLY NO WIRE. 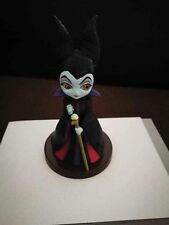 There is a small little mark on the base but that's where the foot goes when you put him on the base you don't even see it. He is very tight on the base that's why most likely it left that mark on it. 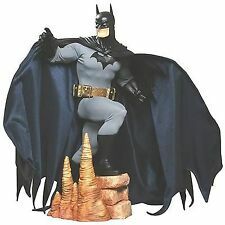 DC COMICS DESIGNER SERIES BATMAN 12" STATUE BY ANDY KUBERT. About the statue Limited Edition of 5,200 - this being AP 22 (artist proof) of 5,200. 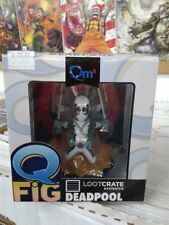 ❤️2 Lot Diamond Select Toys Marvel Gallery Spider-Man PVC /Symbiotic Figure(Box). Shipped with USPS Priority Mail. Providence, Rhode Island 02908. 182 Academy Avenue. 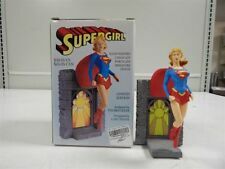 Icon Heroes Superman Rebirth Collectible Statue-GameStop Exclusive.. Comes with COA also I did not tape up the styrofoam inside the box if you want me to before I ship just ask! If you would like to know which number it is just ask as well! PLEASE NOTE I work afternoons so it may take up to 2-3 business days for me to ship them out! I will ship either UPS or USPS so please don’t pay attention to the shipping details. Message me with any questions and thank you for looking! • 100% complete with all pieces, including Exclusive unmasked head and hand holding mask. The cape is made with precision and every line and curve is perfect without zero jagged edges. These capes are made out of a velvet material which is screen accurate. The back of the cape has the velvet material and the inside has a very dark silk material just as the screen used capes.